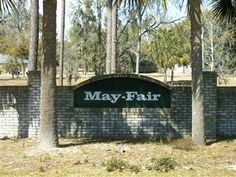 Only one mile outside Lake City FL, you will find the May Fair Subdivision. It’s just off of Branford Hwy. The I-75 landmark can be found one mile from May Fair Subdivision entrance. For properties ranging from 1,500 to 1,900 square feet, expect to pay between $115,000 and $175,000 dollars.